Audible is the worlds largest online digital stores who are selling audiobooks. You can probably find audiobooks from any category and the quality of each of them is top notch. But when it comes to downloading, Audible has already set his price for these audiobooks. You may find the prices of these audiobooks to be little high as compared to other services but that’s due to the quality they provide. 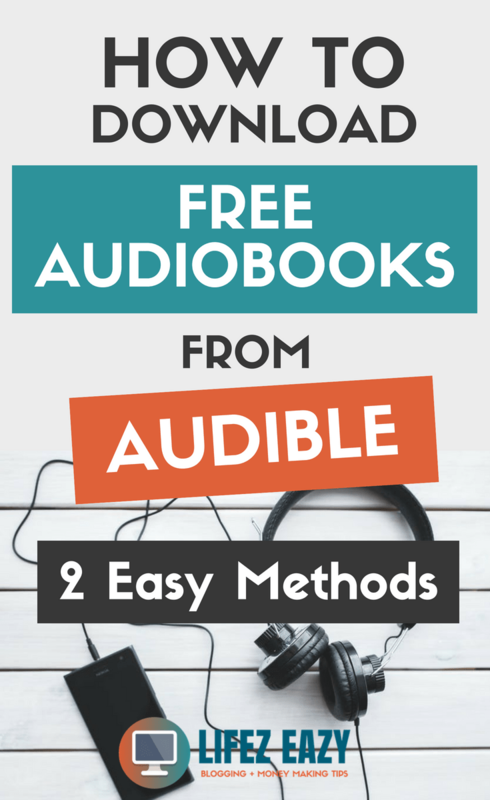 So, if you are someone who wants to download audiobooks from Audible but doesn’t wanna spend a single penny, then in this guide, I am going to mention 2 methods that you can use to straightway download audiobooks for free. But before that, let’s look at what Audiobooks are? You must have read numerous books in your lifetime, right? Now, just replace the physical book with an audio file which has the same content as that in the book. But instead of reading as you do in the case of books, here the narrator reads the book for you. So, this means, all you need to do is just listen and that’s what audiobooks are all about. The advantage of audiobooks over physical books is that while listening to them, you can do any other work at the same time. So let’s say you wanna close your eyes & relax, well you can do while listening to audiobooks. You want to clean your house while listening to them. Well, of course, you can do that. The Same goes for driving, jogging etc. This is the reason why audiobooks are becoming so popular nowadays. Now, you might be thinking how you can download them for free. That’s exactly we will be looking next. If you are looking to download any Audible audiobook regarding of its price which includes the bestseller, editors pick, new arrivals, then you should opt this method because all you need to do is just sign-up. That’s it. If you don’t know, Audible provides a free trial plan when you sign-up for the first time. 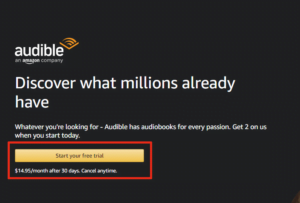 WHAT IS AUDIBLE FREE TRIAL PLAN? Audible provides a free trial plan where you can download any 2 audiobooks absolutely for free. It doesn’t matter which one, you can literally choose any two of them regardless of its price. However, you need to use your free credits within 30 days before it gets expired. It’s a great way to try their service without even spending a dime. On top of that, you can keep your 2 downloaded audiobooks with you forever. Now, why I said forever? because Audible won’t grab them back if you choose to cancel their free trial plan. Isn’t that cool? Also, if you like their service and want to continue further, you can opt for their paid plans which is just $14.95/month. With this plan, you get 1 credit for a month. Using this credit, you can buy one audiobook regardless of its price. Also, you get a 30% discount on further purchases. On the next page, you need to confirm your address. After that, you need to review your details & then click on “Confirm your free trial” button. That’s it. You just joined their free trial plan. Next, you can browse the audiobooks section to find the specific audiobook you want to get for free. As an example, I have chosen an audiobook. Next, you just need to click “Buy with Audible credit” button and it will be added to the Audible library. HOW TO ACCESS FREE AUDIBLE BOOKS AFTER BUYING THEM? 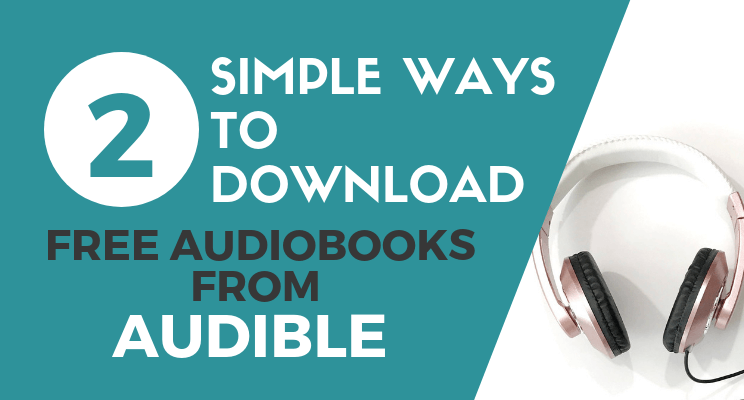 Download Audible’s official app. It is available for Android, App store, and Windows. After installing, open the app & login to your Audible account using your Amazon account e-mail & password. Here you can see your purchased audiobooks. Just download them and enjoy. If you are new to Audiobooks and doesn’t have any specific choice, then this method is good for you to download random audiobooks for free. 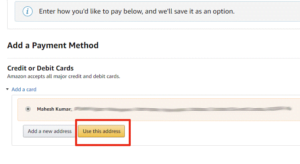 Here also, you need to sign up for an Amazon Audible account as shown in the previous method. After signing up, just type “free audiobooks” either on the Amazon search bar or on Audible’s official website. This will open a list of Audiobooks which are free to use. Just choose any of them and enjoy. The main difference between both the methods is that the first method can be used to listen to any audiobooks for free. No matter if they are priced or not. Whereas the second method is only applicable to access those audiobooks which are already free. 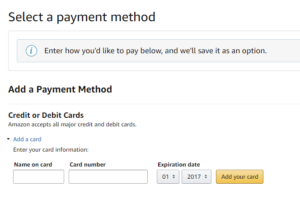 With this method, you can’t access paid ones. So, that was it. These are the two methods which I found to be convenient in order to access audiobooks for free. The best thing about these methods is that you have nothing to lose. Not even a single penny. But at the same time, you can grab some free audiobooks. So, try for yourself and enjoy. Cheers.